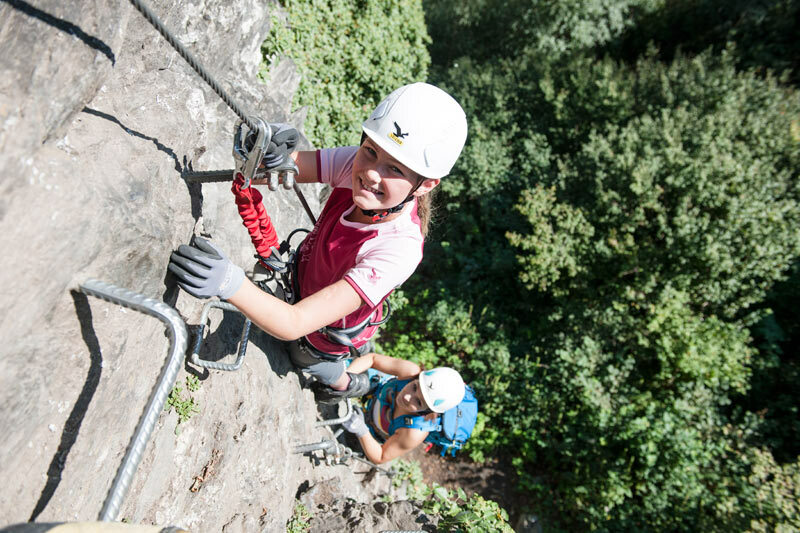 The Via Ferrata Huterlaner is an experience for the whole family. 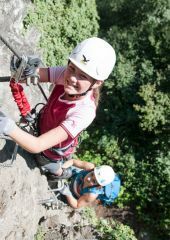 Here you can familiarize yourself with a Via Ferrata. Short, earthy trails alternate with steep uphill sections. A highlight is the rope bridge at the emergency exit. Here is an additional access possibility and a nice view point. 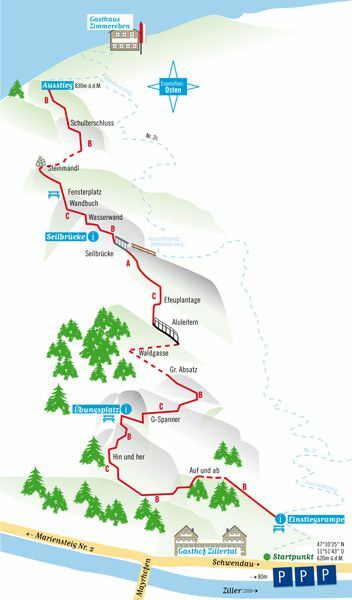 ACCESS: Next to the inn "Gasthof Zillertal" in Mayrhofen follow the Huterlanersteig (path No. 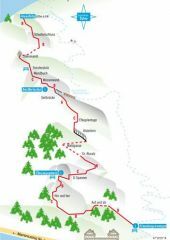 2c) direction Zimmereben. There, the entry is marked.